Oh my goodness, this is such a long book. I couldn’t understand why it had to be quite so long. After all – I knew from seeing a couple of dramatisations – the story was actually very simple. A good, upright young man was terribly wronged, by a conspiracy of jealous, lesser men. He fell a long, long way; but he rose again. He acquired a vast fortune, he built a new life, and he wreaked vengeance on the men who had tried to ruin him …. It is that simple – at its heart – but the telling is so rich and elaborate, for full of details and stories, that it had to be a very good book. No dramatization, no retelling, could ever recapture the wonder of the whole of this book. I know that now, because I have listened to every single world. When it was over I was lost, and I could so easily have gone back to the beginning and started the journey all over again. Or picked up the book, opened it at any point and been pulled right back into the story. Not faultless – but a dazzling, bravura feat of story telling. In the early stages I thought that the story might lack subtlety. It seemed so black and white. Edmond Dantès was bright, handsome and capable. He brought his ship home safely, assuming command after the death of its captain, winning the love and respect of his men. He dealt with a sensitive situation with great tact and diplomacy. The ship owner, his widowed father, his adoring fiance, were all so pleased and proud …. A hero with every talent he might need, and who always behaved impeccably, might prove wearisome, but there was a dark shadow. The pieces fell slowly into place. There was a jealous collegue with an idea; a rival in love who was suggestible; a disgruntled neighbour who listened; and finally there was a man in a position of power who put his own interests before the interests of justice. By actions – or by keeping their counsel – they condemned an inncocent man to life in a remote island prison. I realised that this story was not so black and white, not so lacking in subtlety; it was a story painted in strong clear colours; a story firmly rotted in its period – a time when France was torn between being a monarchy and being a republic. The young man protested against his imprisonment, proclaimed his innocence to the men who imprisoned him, but he came to realise that they would not listen, they would not understand. They called him mad, and they threw him into solitary confinement. It was heart-breaking; he almost broke under the torture of solitude and injustice. It was six years before he had human contact with anyone other than his jailer. He heard a sound from a neighbouring cell, and that made him pull back from committing suicide. He made contact with a much older man, who taught him, guided him, told him stories. Because he knew that he would never leave prison, but he hoped that one day his protege might. This part of the story spoke so profoundly about humanity, about the need for contact, about relationships …. Eight years on the older man died and though Edmond was grief-stricken he saw that it presented him with a chance to escape. He seized that opportunity. It was an audacious plan – and it succeeded. He trod carefully as he built a new life, and he uncovered the hidden fortune that he had been told about in prison. Edmond Dantès was reborn as The Count of Monte Christo: a man who believed he had been appointed by God to set things right. It was an extraordinary turning point. The Count of Monte Christo used his fortune, loyal allies he gained as he rose, and a multitude of disguises to change lives. There was prosperity and happiness for those who had been loyal to Dantès ; there was tragedy and loss for those who had betrayed him. The plot was byzantine in its complexity, and it was clear that the plotter was prepared to play a very, very long game. There were so many scenes, so many moments, that took my breath away. It broke my heart that whatever The Count of Monte Christo did, there was no vengeance that could bring back those long years that had been lost in prison, or bring back happy future that had once been before the young Edmond Dantès. He knew that. He was a fascinating character, and I could never let go of his story. But I did wish that he could let go, I did suspect that forgiveness might have given him more than vengeance could. The unhappy endings didn’t come simply from vengeance, that came from the failings of the men who fell. But I do think that the morality was a little fluid. I don’t want to pick apart the details, but I have to acknowledge that. The story is stronger than the characters – maybe because it was first published as a newspaper serial. I do wish that I could have read it that way, not knowing the full arc of the plot, where it was going, how much longer there was to go …. There were times when I would have liked to now a little more, and there were other times when I would have been happy to know a little less. But the storytelling was so rich, so profound, that it held me from start to finish. I will read it – or listen to it – again one day. « There has been bookshopping …. isn’t it an amazing story, Jane? You really do justice to it. I thought though that in the end he had let go, choosing life and happiness in the east with his new love. The only part that felt a bit too long for me was in Rome, with the carnival, though I understand what it was setting up. Yes, it is amazing. I thought that the ending was perfect, but I was sorry that he took to long to get there. I watched and loved the Gerrard Depardieu tv series of The count of monte Cristo but I admit I have been put off the book a bit by its length. I’ve seen the Chamberlain and Caviezel adaptations but not the Depardieu yet. 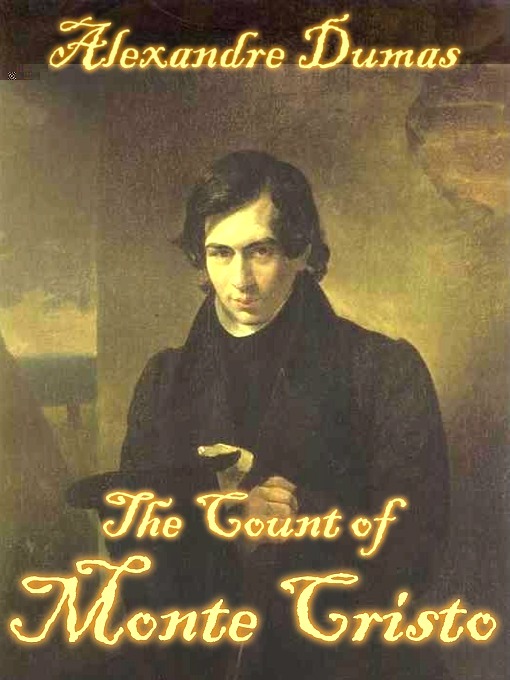 He’s not quite my idea of the count though I’m sure he could be effective in the role – maybe one day. Yes the book is long, but it is wonderfully readable. And I can recommend the reading by Bill Homewood which worked better for me than a book that was big and heavy or a tablet that felt wrong. Lovely review Jane and I can understand exactly what you’re saying about length. I have embarked on Proust which in many ways has few actual events but the language is gorgeous! Proust is on my one day list but I more by Dumas and Trollope comes first. And maybe a re-read of A Dance to the Music of Time now I’ve finally found my copies. This is one of my favourite books and I’m always pleased to see other people reading it (or listening to it) for the first time and enjoying it too. The length doesn’t bother me because I love Edmond and his story so much. You’ve made me want to pick it up and read it again, but I’ll have to wait until I’ve finished reading the Musketeers series first! This was definitely a book I was happy to spend a lot of time with rather than a long book, and I miss it now that it’s open. I’ll be setting off with the Musketeers soon too. It is a long book, but it’s so worth reading it and then I never notice the length.. I haven’t read it in a few years… maybe it’s time for a re-read. I could happily spend much more time with this book if only life and other books weren’t calling so often. I hope you enjoy your re-read – it’s certainly a book I’m looking forward to revisiting one day. Dazzling is just the word I use to describe this book!! But I love it…every time I read it just pulls me in and the pages fly by…I agree with you that the morality is fluid….but it is nevertheless a brilliant swashbuckling tale filled with intense colors!! Yes, ‘dazzling’ and ‘intense colors’ are exactly the right words and I understand now why so many people enthuse about this book. When I was small I had a dramatised recording of this that took just two sides of a 33RPM LP, so about seventy minutes in all. It was accompanied by music from Tchaikovsky’s Sixth Symphony and I can never hear that now without recalling the appropriate parts of the tale. So embedded is this version in my mind that I have never felt the need to seek out the entire novel but I can see I’m going to have to put that to rights. I read this long ago at about age 12. I still recall parts of it vividly. It showed me how exciting reading could be. I never thought that this was a book I would want to read, until I read Graham Robb’s “Parisians” which had a chapter on the true story and real life characters and events that had inspired Dumas to write The Count Of Monte Cristo. Reading the true account of the story was gripping enough for me to decide that I need to read the book someday. Your review has just propelled that plan a few rungs up the list. I was listening to another monster of a book, Les Miserables (need to pick up from where I left it soon) and was surprised at how readable it really was too. Same goes for Don Quixote, the other giant I plan to take on soon. Yes, if only we can get past from being put off by the size and length of these giant tomes, the experience we come away with are usually much more rewarding than what we expect!